We hope everyone had a nice Labor Day holiday weekend and didn’t go overboard with the celebrations. It’s back to the grind for most, weather it be school or work. Some may be bummed out that the summer is ending, while it may be a relief for others to get the kids out of the house. These are some of the latest mixtapes to check out containing the best new free hip hop music online to help relieve some much needed stress with the back to school rush. Starting this blog post off is one of the flyest DJs out of Canada, DJ Scratchez. He’s back with another jam packed edition of the “Diamond Cuttz” series with the 45th installment in the franchise hosted by Cool Amerika. This release is 54-tracks and has a play-time of almost 2 hours with the newest music from artists such as the hosts, 50 Cent, 2 Chainz, Wiz Khalifa, Young Thug, Gucci Mane, T.I., T-Pain, K. Camp, Mac Miller, The Weeknd, Vado, Chief Keef, Yo Gotti, Waka Flocka, and many, many more on this hot product. 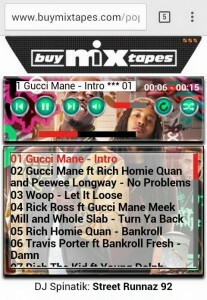 Up next is an official mixtape release by a member of the southern group Three 6 Mafia recently renamed to Da Mafix 6ix. 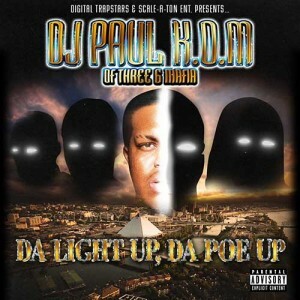 The King Of Memphis or DJ Paul K.O.M. drops the official project titled “Da Light Up, Da Poe Up”. This is a 28-track product by the Sony Records artist containing many guest appearances including YB, Rich Rocka, Chisanity, Lord Infamous, Ying Yang Twins, Dorrough Music, Lil Wyte, Stitches, Snootie Wild, and LA Chat. Production by DJ Paul, Twhy Exclusive, and Shawty. He will be releasing his solo retail album on October 30th, 2015 titled “Master Of Evil”. Finally, on the list of mixtapes reviewed in this blog post is by one of Buymixtapes.com favorite blend kings, Semaj Da DJ. 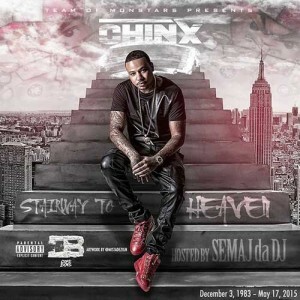 He drops a tribute effort to the late rapper and Coke Boy artist, Chinx. The release is titled “Stairway To Heaven” and contains some of the emcee’s best new music, along with custom blend tracks by the DJ. Songs to look out for on this product include “Wake Up”, “Off The Rip”, “Yay”, “On Your Body”, “Go Get It”, as well as all the other songs on this 22-track drop. This bring this blog posting to an end and wishing everyone a productive week. Remember that our site is mobile compatible. 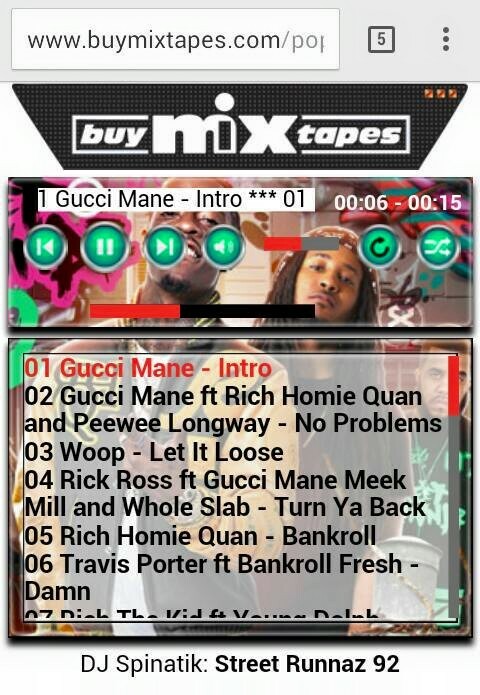 Just load http://www.buymixtapes.com on your mobile browser, browse to your favorite mixtape, and press the orange music note icon below the album cover to launch the player full screen! Below is an example of what the player looks like on mobile devices. Thank you for taking the time to read our blog posts!